Who will call the Thursday night games for Fox, if not Buck and Aikman? Fox is making a big commitment to the NFL’s Thursday Night Football package, agreeing to a deal that far surpassed bids from rival networks. According to Sports Business Daily’s John Ourand, the network inked a five-year contract for the TNF rights worth approximately $550 million per year. That will keep Thursday Night Football on Fox through 2022, which coincides with the other deals the NFL has with its current TV partners. Rumors of Fox making an aggressive push for the TNF package had circulated for the past two weeks as CBS and NBC, the previous broadcast network homes for Thursday night games, were reportedly considering lower bids amid concerns about lower ratings, diminished performance (and greater injury risk) because of the short, four-day turnaround for players and the quality of matchups available with higher-profile games going to the Sunday afternoon and night slots. While some measures such as giving teams scheduled for a Thursday night game a bye during the previous week have been discussed, Fox believes its regular Sunday TV deal with the NFL might provide the network an opportunity to push some marquee matchups that would have been scheduled in the late Sunday afternoon window to the Thursday night slot. That would surely depend on what other games might be available, as Fox surely doesn’t want to hurt its Sunday ratings for the benefit of Thursday night’s numbers. But Fox is clearly exploring possibilities to put more attractive matchups on Thursdays, the lack of which has been a frequent criticism from fans and media. The $550 million Fox is paying for the TNF rights exceeds the combined $450 million that CBS and NBC paid per season in a split package. (The five-year agreement also surpasses the one-year deals those networks had previously struck with the NFL.) Fox will get 11 games as part of its deal, up from the 10 games that went to broadcast networks in prior seasons, which still provides the NFL with $50 million per game — up from the $45 million the league previously received for each Thursday night contest. NFL Network will once again carry some Thursday games exclusively, though the number of games the network will televise is still to be determined. As of right now, it does not look like Joe Buck and Troy Aikman will do the Thursday night games. Full story coming tomorrow in SBD's Morning Buzz. Also still to be determined is who will call the Thursday night games for Fox. Ourand reported Tuesday night that the network’s No. 1 announcing team of Joe Buck and Troy Aikman would not be doing any of the Thursday night broadcasts. (For what it’s worth, Sporting News’ Michael McCarthy reports that Buck and Aikman could call some Thursday night games, if the matchup is a particularly appealing one.) In previous years, the NFL has preferred that a network’s top broadcast team call those games, though relented last season for NBC, allowing Mike Tirico to call play-by-play on Thursdays instead of Al Michaels. Is Fox’s No. 2 NFL team of Kevin Burkhardt and Charles Davis, with Pam Oliver reporting, in line for the Thursday night gig? Or could the network put a new team in the booth, perhaps with a flashy hire in the analyst chair? 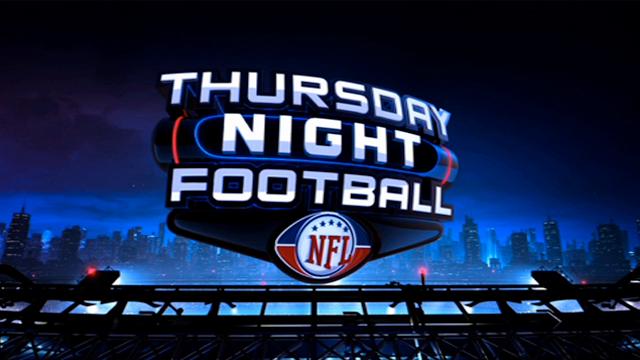 Digital rights to the Thursday Night Football package have yet to be awarded. Amazon and Twitter are viewed as the current favorites for those rights, having streamed TNF games in previous season. However, Amazon paid significantly more for streaming TNF games last season ($50 million to Twitter’s $10 million the previous year), which would presumably put the company in prime position to re-up with the NFL.